^ Building the Colosseum. 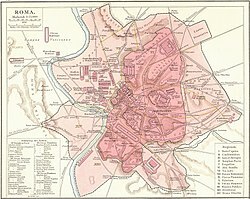 roman-colosseum.info. ^ BBC's History of the Colosseum p. 1. Bbc.co.uk. 2011-03-22 [2012-04-16]. ^ Baldwin, Eleonora. Rome day by day. Hoboken: John Wiley & Sons Inc. 2012: 26. ISBN 9781118166291. ^ 7.0 7.1 Frommer's Events – Event Guide: Good Friday Procession in Rome (Palatine Hill, Italy). Frommer's. [2008-04-08]. （原始內容存檔於2009-01-07）. 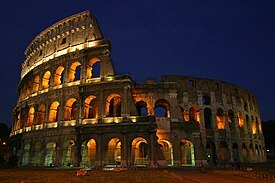 ^ World heritage - The Colosseum, the Great Amphitheatre: Historic Centre of Rome. [2018-04-16]. ^ Logan, Willy. The Flavian Dynasty. [2007-09-25]. （原始內容存檔於2011-05-31）. ^ J. C. Edmondson; Steve Mason; J. B. Rives. Flavius Josephus and Flavian Rome. Oxford University Press. 2005: 114. ISBN 0-19-926212-8. ^ The Colosseum – History 1. [2008-01-26]. ^ Squires, Nick. Colosseum to open gladiator passageways for first time. The Daily Telegraph. UK. 2010-06-23 [2011-01-30].